Hardey Resources Ltd (ASX:HDY) has highlighted the considerable comparative advantages of reopening the Nelly Vanadium Mine (NVM) in Argentina. Of most significance are the regulatory and operational benefits of restarting a past producing mine with established infrastructure as opposed to bringing a greenfield project into production. On this note executive chairman, Terence Clee said, “One of the attractive and unique features with the Nelly Vanadium Mine is the potential to fast track the commencement of mining operations and cash flow. “This is a material comparative advantage over building up a resource from inception, which can take many years. Establishing a mining platform from a prospective area in most jurisdictions takes up to five years, necessitating essential upfront capital expenditure. However, under Argentina’s current laws, the process to reactivate a mining licence is relatively straight forward and fast. Hardey is scheduling meetings with the directors of San Luis’ mining and environmental departments, so they can meet key decision makers and fast-track reactivating the mining licence. Indeed, the prospect of generating early cash flows from existing stockpiles would assist the company in funding the project. With historical data indicating a high-grade ore body (averaging 0.82% V2O5), NVM can potentially be a primary low-cost vanadium producer, based on the costs associated with Argentina’s mining services sector. 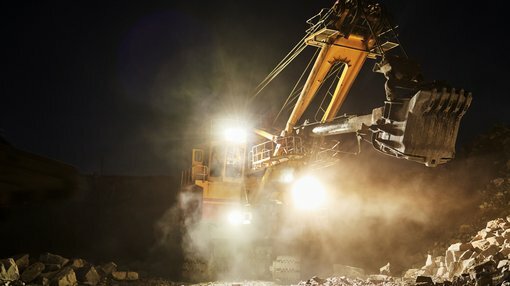 Over the longer-term, management is aiming to replicate the low production costs of Largo Resources’ (TSX: LGO) Maracás Menchen Mine in Brazil. Largo is the second lowest cost vanadium producer on a global basis, and the compelling investment attraction of delivering low all in sustaining costs is evidenced in the company’s share price performance over the last 12 months. 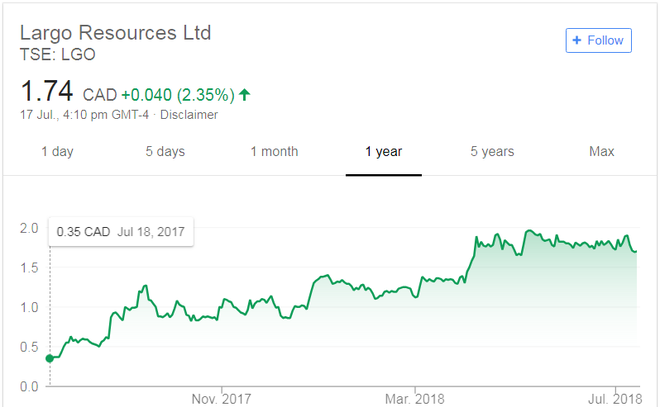 The company’s shares have increased more than 500 per cent from C$0.34 to circa C$2.00, and as can be seen below in the last three months they have been trading in a tight range between C$1.70 and C$1.90. While NVM’s re-opening is still at a nascent phase, there are clear comparative advantages to potentially being a low-cost operator, particularly with the opportunity to accelerate the estimation and reporting of a JORC (2012) Code Mineral Resource. 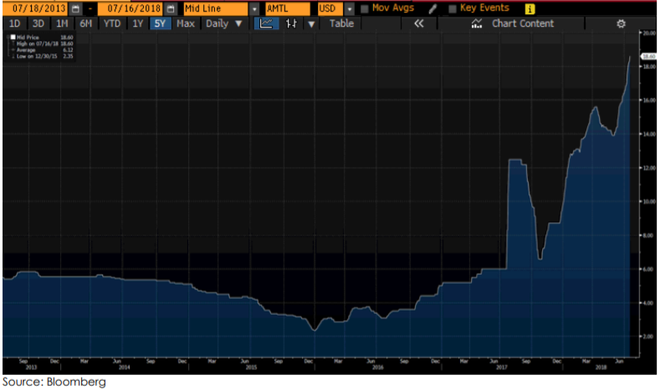 Currently, with the global demand-supply imbalance potentially in deficit looking forward, being in a position to fast-track developing a new, low-cost, vanadium supply chain is arguably attractive to prospective off-take partners. Key near to medium-term potential share price catalysts are the receipt of regulatory approvals and the establishment of a JORC 2012 Resource. In turn, securing early-stage off-take partners will aid securing project finance to accelerate mining operations recommencing.